The name of E.M.Libanova is related to the formation in Ukraine of a new and very important research area: human development and primarily its socio-demographic aspects. She was the leader of the working groups, which prepared thematic reports (spotlight presentations): “The problem of poverty within the framework of the policy of socio-economic transformation and reform strategy”, “The formation of middle class in Ukrain”, Demographic situation in Ukraine: problems and outcomes”, “Emergence and development of labour market in Ukraine: problems and outcomes”, as well as the President’s Messages to Verkhovna Rada of Ukraine in 2000, 2001, 2002, 2003, she was the co-author of the Message of 2005, and one of the leaders and co-author of the series of National reports on demography, social policy, labour market, gender relationship. Among other things she is a permanent co-author of the reports about human development in Ukraine, prepared under the auspices of the UN. The original method (know-how) of human development measurement at the oblast level was developed under the guidance and with the direct participation of E.M.Libanova a Member of NAS of Ukraine. The method was certified officially and is used now for annual reconciliations by the State Committee of Statistics of Ukraine. The monographs with case studies in human development in Ukraine have been published annually under the editorship or in co-authorship with E.M. Libanova since the time the M.V.Ptukha Institute for Demography and Social Studies of NAS of Ukraine was founded. Being a Member of the Academy of Sciences of Ukraine E.M. Libanova was the head of the working group and co-author of the “Vision and Strategy for demographic development of Ukraine up to 2015”. A considerable part of E.M. Libanova’s work is related to the developing a concept of the pension reform in Ukraine: the original model of the pension system in Ukraine was developted under her supervision and direct involvment. It was supported and approved by different international institutions majoring in pension modelling. While working in Rada and studying productive forces of Ukraine, E.M. Libanova initiated Research into Poverty issues. Nowadays the same team continues to officially perform the assessment of the scope, level and depth of poverty in Ukraine and prepares quarterly analytical surveys for the Government, but it works within the M.V.Ptukha Institute for Demography and Social Studies. A number of E.M. Libanova’s works are dedicated to the problems of poverty. The labour market research results were released not only in Ukraine but also under auspice of the International Labour Organization (ILO) and International Organization for Migration. She participated in a series of conferences and workshops as an UN expert on human development (New-York, 1995), sustainable development (New-York, 1996; Ghent, 1996; Budapest, 1999), ageing of population (Malta, 1997). She was UNICEF coordinator for social policy issues in the countries with economies in transition (Florence, 1993, 1994, 1995, 1996, 1997, 1998), world Bank expert on poverty in the countries with economies in transition (Budapest, 2000), ILO expert on flexibility and security of labour market (Budapest, 2006; Geneva, 2007; Geneva, 2008), the European Commission expert on socio-economic development (Brussel, 2008). Over 200 scientific papers by E.M. Libanova appeared in Ukrainian and foreign journals, more than 30 of them in the publications of UN, World Bank, UNIСEF, ILO and other authoritative international organizations. E.M. Libanova pursues the active work of an expert and a researcher as a member of the Committee for State Awards of Ukraine in Science and Technology and Deputy Chairman of the corresponding section of the Coordination Centre for pension reform implementation, Committee for economic reforms under the President of Ukraine, and Coordinating Council for the competitiveness recovery of the national economy. E. Libanova is a part of the editorial board of some authoritative journals such as: "Україна: аспекти праці" (Ukraine: aspects of labour), "Економічне прогнозування" (Economic forecasting), "Статистика України" (Statistics of Ukraine), "Людина і політика" (People and politics), "Соціальний захист" (Social protection), and the head of the editorial board of "Demography and Social Economy” which was founded on her own initiative. The round table under her guidance on topical socio-demographical issues in Ukraine has already been working for 4 years. Famous scientists, researchers, representatives of legislative and executive power, and the media participate in its work. 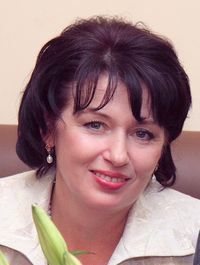 She was awarded Diploma of the Cabinet of Ministers of Ukraine (2003) and Commendation of the Cabinet of Ministers of Ukraine (2004), and decorated with an Order of Princess Olga of 3rd (2009) and 2nd (2013) degree. Doctor of Economics, Senior Researcher, Chief of the Department for human development research. Principal research areas: human development issues, social protection of population, assessment of social programs, gender issues. She has more than 20 years of scientific experience. She participated in over 50 scientific projects and research works (as a leader or responsible executive) ordered by the Presidium of NAS of Ukraine, central and local government, international institutions (UN, World Bank, UNICEF, etc.). 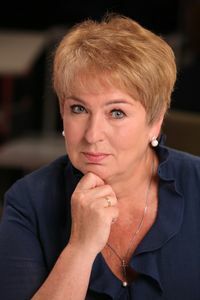 Among her latest research works are “Human development under volatility of reproduction of population”, “The model of the socio-demographic transformations in Ukraine of the 21st century”, “Scientific rationale for medium-term priorities of the budgetary policy for human sustainable development” , “Social aspects of the policy of human sustainable development in Ukraine”, “Taxonomy of recommendations of the main international donors in the sphere of social policy and permanent expert support of UNICEF to the reforming of the social policy and child custody system”, “Consultant service in implementation of the indirect estimation of people’s income and modelling the outcomes of changes in the social programs”. Makarova O.V. 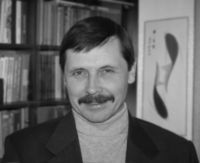 is the author of over 60 scientific publications, including the monograph “State social program: theoretical aspects, methodology of development and estimation”. She is the deputy chief of the editorial board of “Demography and Social Economy” scholarly journal, and a member of the editorial board of “Social policy: problems, comments and answers” journal. On the occasion of the 90th anniversary of NAS of Ukraine O.V.Makarova was conferred a decoration “For Professional Achievements”. In 2011 she received the M.I.Tugan-Baranovski Prize in Economics, and in 2013 she was awarded anniversary Certificate of Merit for considerable personal contribution to the development and popularization of V.I.Vernadski’s ideas. Doctor of Economics, Senior Researcher, Chief of the Department for demographic modelling and forecasting. Gladun O.M. carried out and headed studies in demographic statistics, Ukrainian nationwide population census of 2001, sample surveys of population, labour statistics, the living conditions of housholds, multivariant modelling. He participated in realization of the international projects on socio-demographic and statistical issues. For the work, regarding the Ukrainian nationwide census operation of 2001 he was awarded the President’s Certificate of Merit. He is a member of the International Association of Survey Statisticians, the International Union for the Scientific Study of Population and the International Statistical Institute. 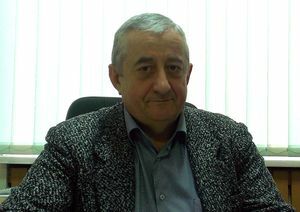 He finished Kyiv Trade and Economic Institute in 1982 with a degree in commodity merchandising and since 2002 he has been working at the Institute. He graduated from Uman Academy of Agricultural Sciences with qualification of “economist–organizer of agricultural production”. On defending his thesis “Economic factors of reproduction of the employment potential in agriculture”, he received the degree of the Candidate of Economic Sciences with a specialization in demography, labour economics, social economics and policy. 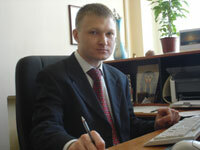 In 2008 he was given a title of Senior Researcher.